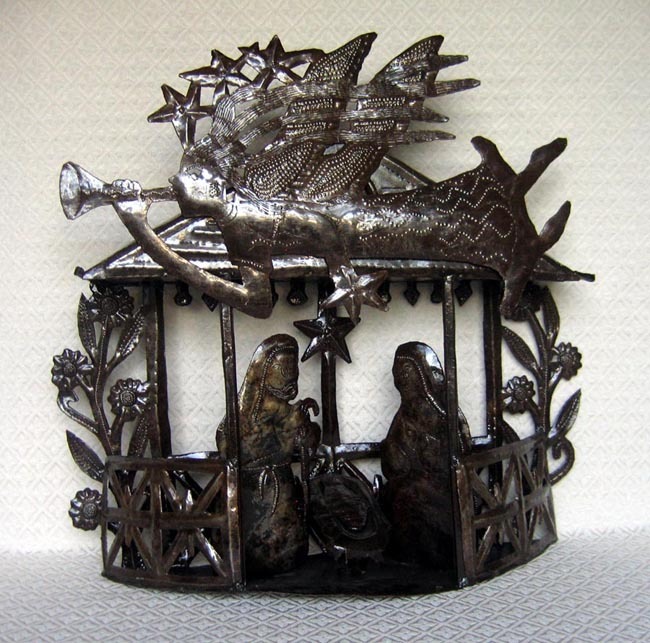 This Nativity scene depicts the Holy Family sitting on a Cajun-style porch as their stable. The item measures 20 inches long by 15 inches high by 5 inches wide. The piece is signed “J N Marie – S” by the artist; he chiseled his name on the base of this piece. We added the Haitian angel because we really liked it. The angel is signed “M Remy” by the artist; he chiseled his name on the angel's robe.